Texas Investment Network - Connecting Texas Entrepreneurs and Investors. Welcome to the Texas Investment Network. 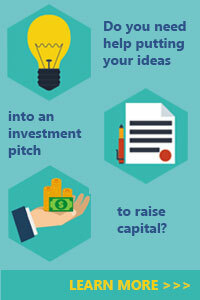 We connect Texan entrepreneurs looking for funding with investors looking for profitable business opportunities. There are no fees to join so register today as an entrepreneur or investor and become a part of the Texas Investment Network community. Enhanced Oil Recovery Project on 7 existing wells in Caldwell County, Texas. Utilizing proven new technology to recomplete, horizontally drill, and fully equip 7 wells in the middle of a producing oilfield in the Eagle Ford, Buda, and Austin Chalk. Self-taught currency trader looking to expand system. The PRC CREF School is poised to become the #1 source for commercial real estate educational resources and training. We are seeking early stage bond investors to fund our growth. Our goal is to address the need for qualified talent in the industry. Development of land and people skills in the Texas Hill Country to create a small piece of English Elegance and Charm. Unique Wedding Venue, Tea Rooms and Glamping Resort with a very English Experience as a destination spot from all over the World. There is nothing like this in Houston. INDOOR MOUNTAIN BIKE PARK. Due to weather being cold, always raining and 115 degrees in the summer the park would be a success. I have plans and a location. The Tutoring On The Go mobile platform would seek to make private tutoring cheaper and more easily affordable while simultaneously tapping into students' need for instant gratification and satisfaction. Loan with royalties during duration of loan and after loan is paid off for a Yukon Gold Mine! Invest in a turnkey gold mine that has already been proven to be a profitable entity and will only become more and more profitable! The Franchise Flagship will be a brand incubator. 1.NY EATS Franchise - 2.Springwater Bagels & Bagel Chips - 3.Springwater Coldbrew Teas & Coffee 4.Springwater Organic Soups - 5.Pure NY Flourless Cheesecake. This is a Franchise of the Future! 68% of consumers are likely to use a mobile app to order ahead. However, small businesses, like coffee shops, struggle to offer this advantage. DXF Fluid Systems LLC brings "big company" technology, but with "small company" customer service. MCAVE Social Network is a Media and Gaming System that mirrors the art of the ManCave. Guys play games, debate topics, gain points for activity and compete with friends to level up-wrapped around an E-Commerce engine that offers catered gift access. I am interested in investing companies that are looking for capital. I can be only be silent partner. I am looking for returns that are in the form of high interest paid or part of the ownership. 35, married, Houston-based but can move anywhere. I own three successful companies already ( all founded by me ) , plenty of experience. College education, military service. Hands-on involvement. Individual investor. Masters in Professional Accounting from The University of Texas at Austin. VP of a finance company. Experience in Leveraged Finance, Private Equity and Oil and Gas. Looking for profitable investment opportunity. I'm a motivated college grad looking to expand. Currently own a business in hospitality. Seeking to be a silent investor. General Manager with much experience. Made a few investments at young age that has now become strong assets. Looking to find a young and hungry entrepreneur as myself with self motivation and desire to succeed in making his dreams and investments come through. I'm a motivated and capable Entrepreneur with extensive technical background looking for an honest and profitable investment or partnership in any sector or business area.